This component is used to dynamically tag the resulting document of a test execution. You can easily find a document by searching for the specific tag, in the same way you can find a test by searching for the tag you assigned to it. In the composer you will have the ‘tag’ component as option to be added. 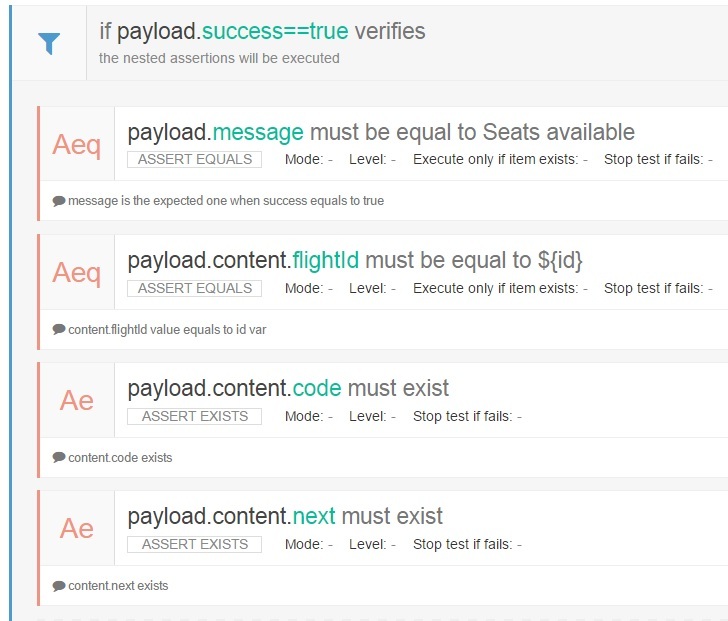 In this way, you can add different tags based on dynamic events happening during the test execution, such as a certain value retrieved in the payload. You can assign multiple tags to each test by adding more ‘tag’ components to it. Another way to add a tag to your test is in the test details screen during test definition or edit. 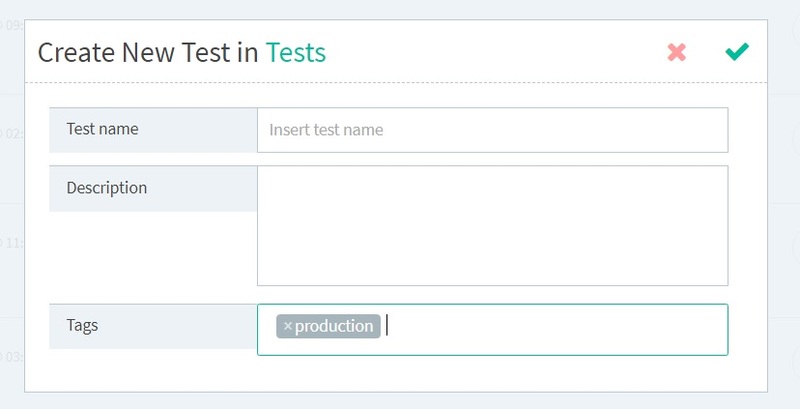 Static tags will be displayed in the tests list. 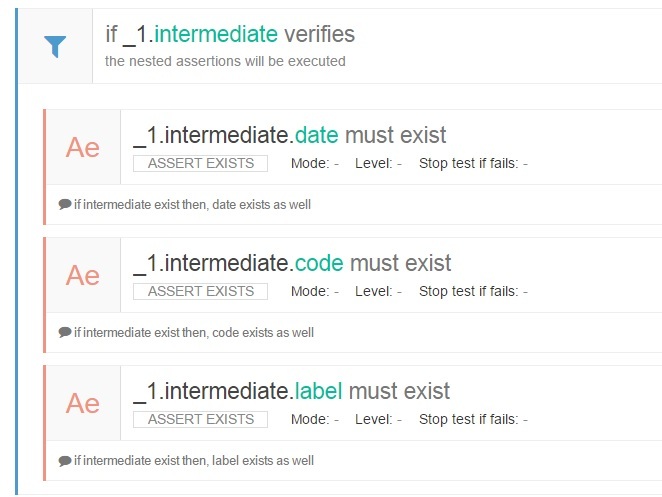 All tags, dynamic and static will mark the test execution documents. 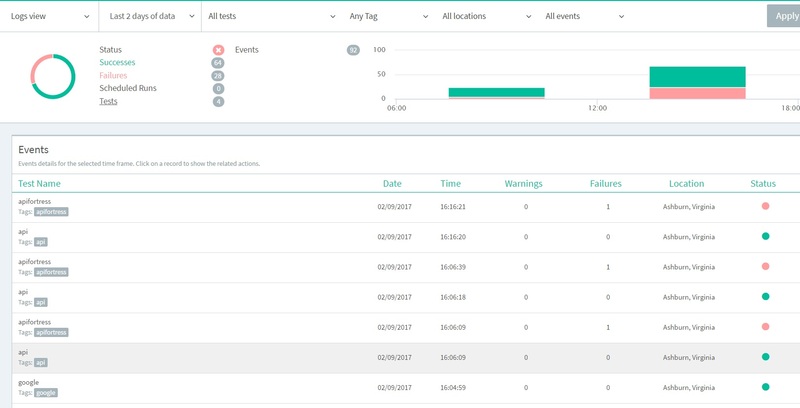 In the project dashboard, you have the ability to filter events by tags. 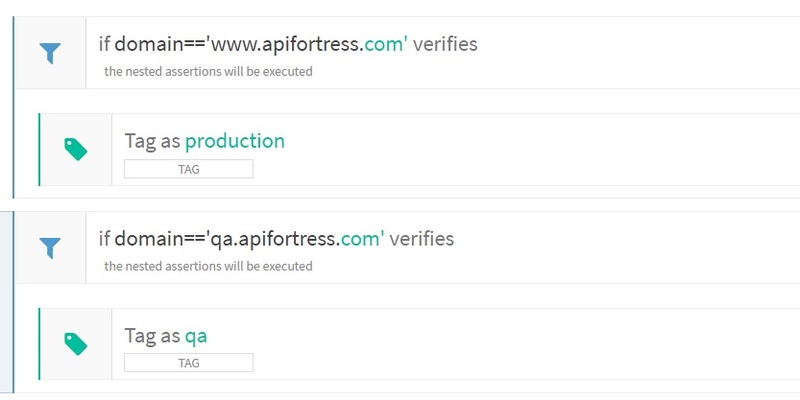 Allows you to run a block of assertions as long as a condition is valid. Allows you to iterate over a collection of elements and execute the piece of code for each element. Expression: The path of the collection you want to iterate on. See Expression for more details. for each ‘legs’ collection checks if ‘vector’ item is an integer value. If a collection is nested in another one, you need to refer to them as _1, _2, and so on. 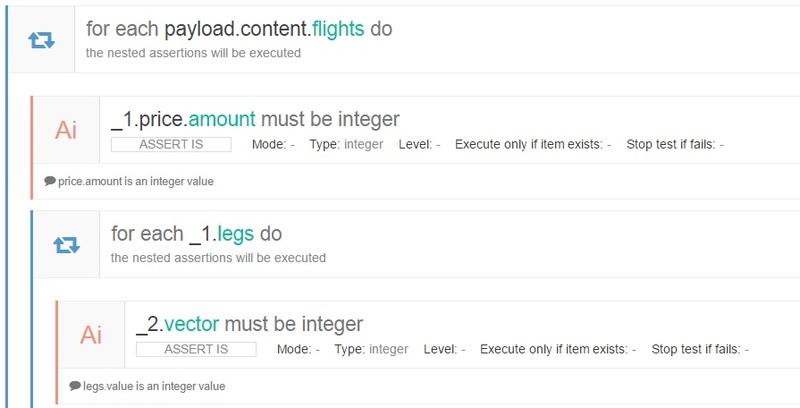 for each payload.content.flights collection checks if ‘price.amount’ is an integer and then, for each legs array (that is a nested collection in the flights collection) checks if vector item is an integer value. Allows you to set a variable for future uses in the test. For example, you can save a value retrieved from the response and use it in a subsequent call.